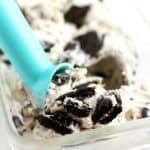 Home » Dairy Free » Dairy Free Cookies and Cream Ice Cream. Dairy Free Cookies and Cream Ice Cream. Extra creamy dairy free vanilla ice cream is loaded with chocolate sandwich cookies for a delicious summer dessert! 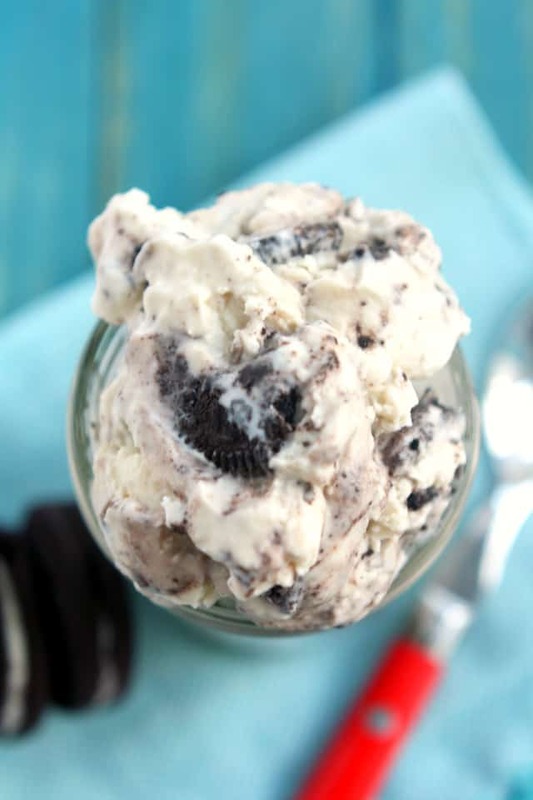 You won’t believe this cookies and cream ice cream is vegan! What was your favorite ice cream flavor when you were growing up? I had a few favorites…chocolate chip, moose tracks, chocolate chip cookie dough, and cookies and cream ice cream were all up there as favorite flavors. And if we were headed to Dairy Queen, well, it was a cookies and cream Blizzard that I ordered, pretty much every single time. So of course I needed to remake my childhood favorite in my ice cream maker here at home. This was such an easy flavor to recreate! I used coconut milk and maple syrup, and crumbled in some chocolate sandwich cookies, and that was all there was to it. But the result was SO good. The texture of this dairy free cookies and cream ice cream reminded me of a Blizzard. You will need to decide what type of chocolate sandwich/oreo cookies to get based on your dietary needs. Actual oreos are vegan, as are some different brands. I like the kinnikinnick brand – those are gluten free. 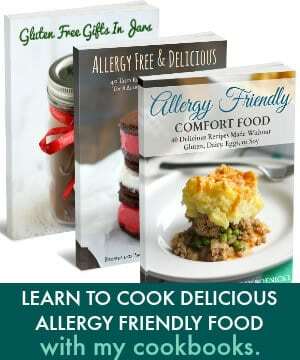 If you need to make your own chocolate sandwich cookies, try this gluten free and vegan recipe. 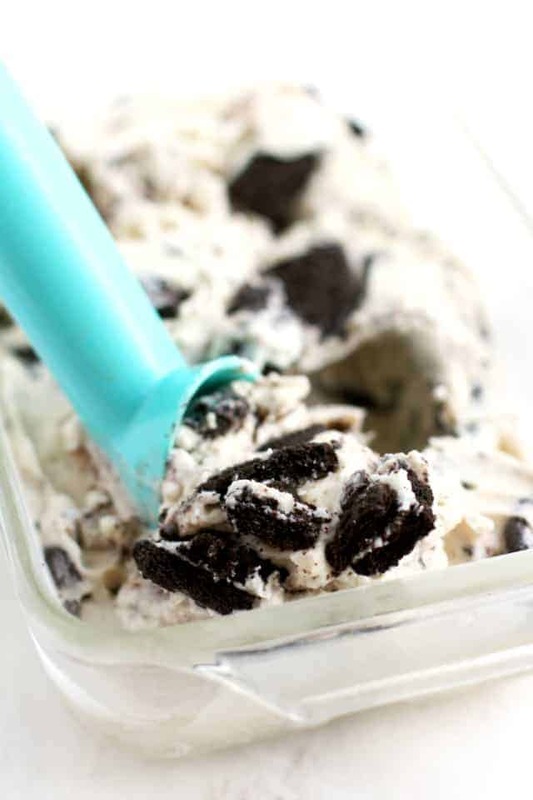 Delicious and decadent cookies and cream dairy free ice cream - a perfect summery dessert! Place the culinary coconut milk, maple syrup, vanilla extract, and salt in your ice cream maker. Process according to the manufacturer's instructions. About 5 minutes before it is done processing, add the crumbled oreo cookies. Enjoy immediately, or store in the freezer. If you store in the freezer, you will need to allow time to thaw slightly before eating. *If you can't find this brand of coconut milk, you can use any brand of coconut cream. I hope you enjoy this dairy free ice cream recipe as much as we did! « Slow Cooker Mexican Chicken. Do you use cans of coconut cream? You can use coconut cream, or you can use canned coconut milk that has been chilled, and then scoop the cream off the top, leaving the liquid behind. I don’t think it will work with those low fat milks. You need the cream and fat to make creamy ice cream. Is there way to make this without an ice cream maker. Not that I know of. You could just put it straight into the freezer in a dish, but I think the texture would be a lot different. I’ve never tried it, but…What if you poured the coconut cream into an ice cube tray, froze the cubes, and then put the frozen cubes into a vitamix with the maple syrup and other ingredients (except for the crumbled cookies). Next, process the ingredients in the vitamix or similar high-speed blender, transfer the (hopefully) frozen concoction to a bowl, stir in the crumbled cookies, and perhaps you’d have a soft serve ice cream. You could eat it right away or freeze it. I wonder if it would work. I’m not going to test this, but maybe someone else would! How can one make this without an ice cream maker? Is it possible to shake with a double Ziploc bag and ice method? I don’t know if that would work, but if you try that, let me know! 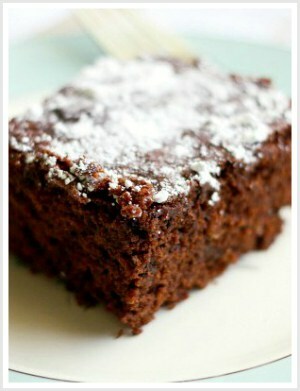 Such a simple recipe and it looks absolutely heavenly! Are there gluten free Oreos?? I’m not understanding how this is gluten free…. 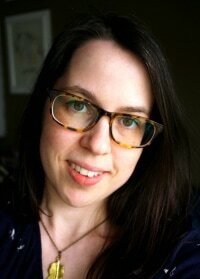 If you read thru her blog, she mentions the brand of cookies she uses and those are GF. Perfect. Thank you! She even included a link. I totally missed it. Thanks for the help! 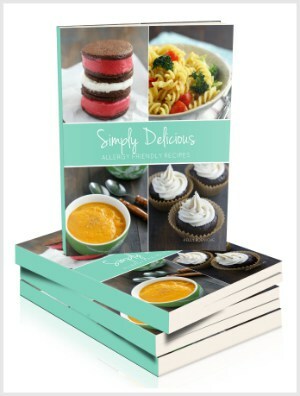 I list a few brands in the post, or you can make your own, I link to a recipe. So if we don’t have that brand of coconut milk, you suggest using coconut cream? Sounds delicious! Yes, I would use coconut cream! can we use freshly squeezed coconut milk? what is the difference between milk n cream ? Does this taste coconutty? My daughter doesn’t like coconut but needs dairy free. Can I use almond milk instead otherwise? It does have a slight coconut flavor, but it isn’t overpowering to me. I don’t know about using almond milk, but you could use cashew cream I think. This looks super yummy! 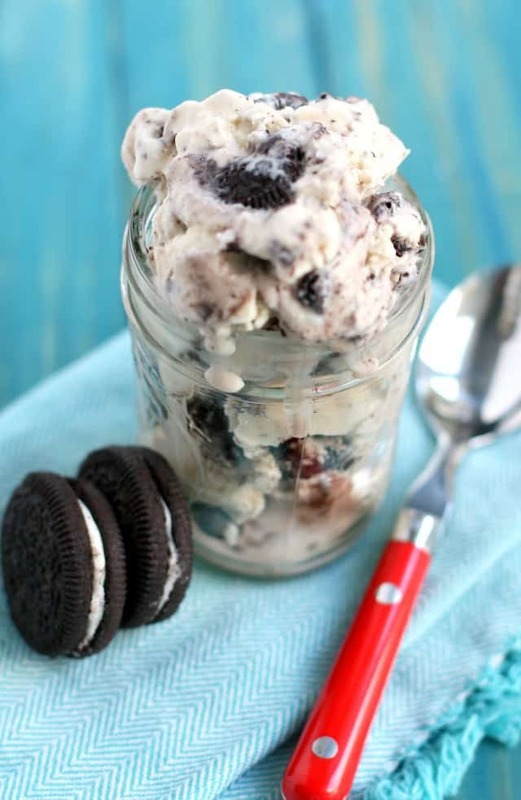 Oreos in ice cream are just irresistible !I love how soft they get….YUM! 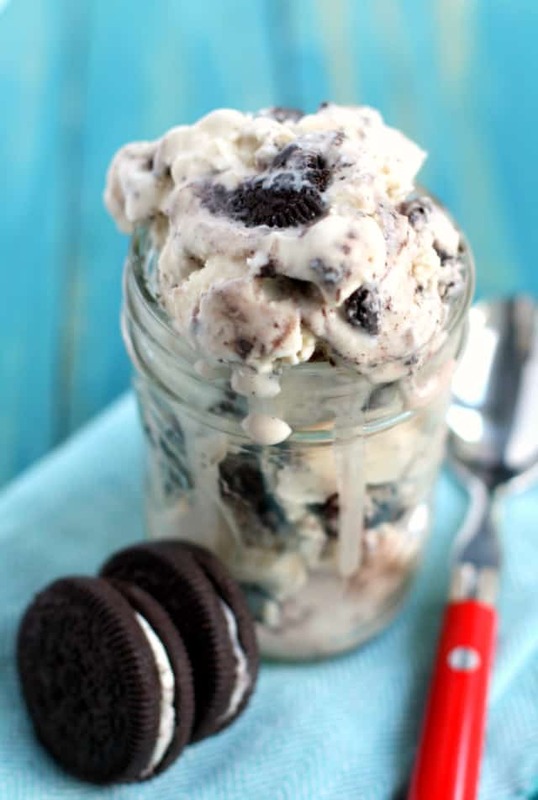 Cookies and cream icecream is always a favourite of mine so this looks perfect! And so creamy! Cookies n creeeeeeam! Oh how this takes me back! Cookies and cream has been a favorite since childhood and it’s been forever since I’ve had it. I must make this ice cream pronto!